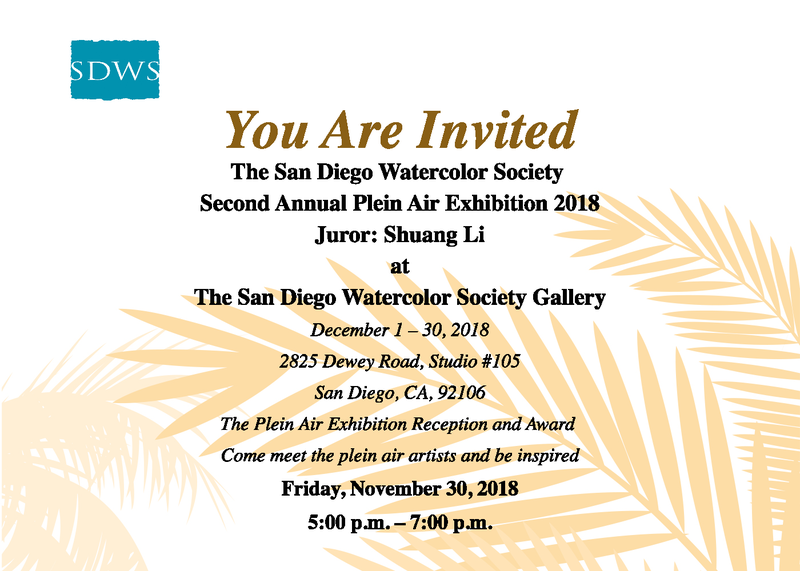 The San Diego Watercolor Society is home to many plein air artists. Many of these artists participate the weekly and monthly paintout opportunities offered by SDWS at various locations around San Diego. To view the upcoming schedule, please click here. Plein Air Documentary Video Questions? Email pleinairshow@sdws.org for more information.